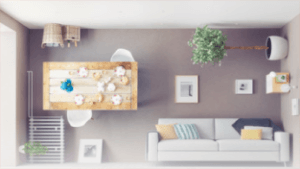 Screws and nails have long be staples (in both senses of the word) of the building industry, from whole homes down to individual furnishings, but need they be so essential? 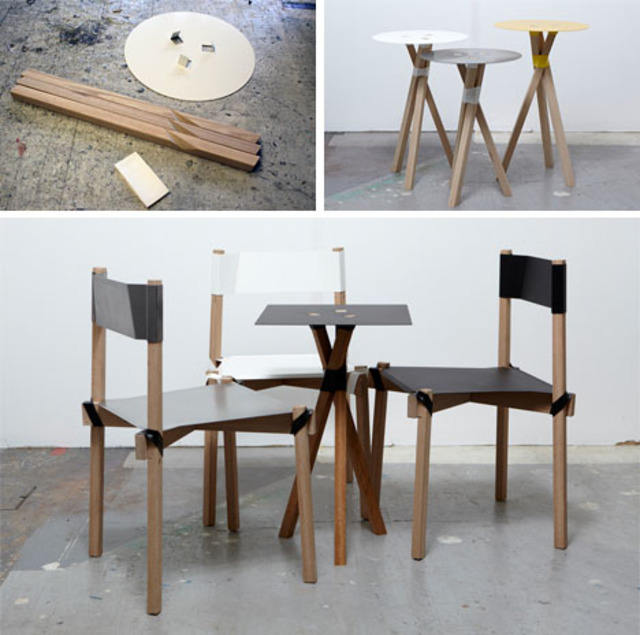 Plastic is also a word with two common meanings: it is both a material but also a property of materials – bendable, flexible but ultimately solid it has a great deal of untapped potential as these furniture pieces with creative joinery show. The combination of warmth and air makes the plastic contract, after which it becomes solid again as it cools and tightens around whatever it surrounds. 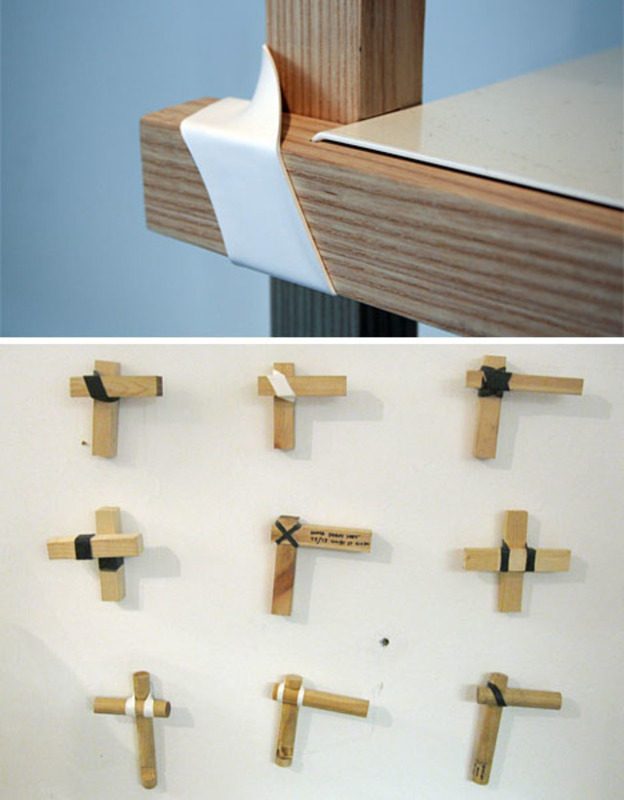 Think of the relative speed and simplicity, too: no more complex joinery techniques, ugly nails or screws, at least assuming you like the aesthetic results. In this case, Nicola Zocca paired the colorful structural bands with surfaces of similarly-colored metal to make them fit as part of the larger design – the artificial elements set in contrast to natural ash and oakwood tones. In the same way you can tie a knot in dozens of different ways, these plastic strips can likewise be applied in a variety of creative ways for functional or visual reasons. Usually used for industrial applications, plastic that shrinks when heat is applied has been around for a long time. Its application range from snug-fitting electrical cord covers to connecting parts of planes, trains and automobiles. Probably the most popular (or visible) uses are everyday things: packaging for your headphones, CDs and other store-bought items. 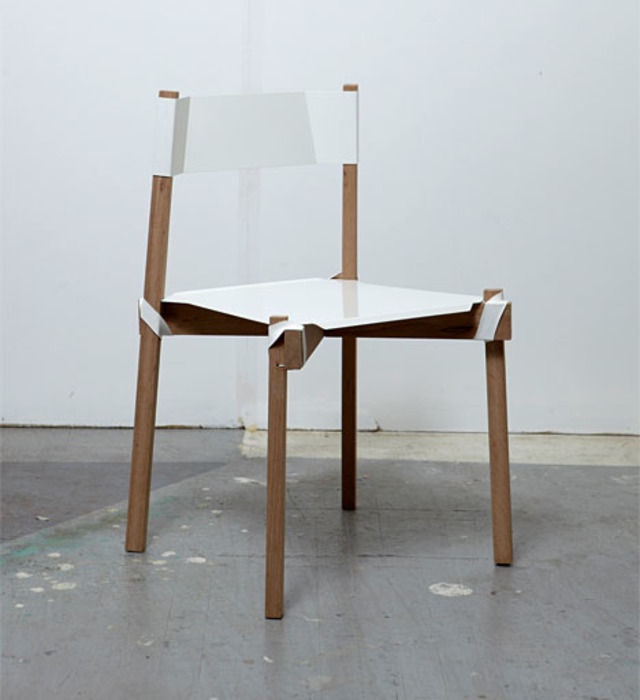 Whether or not you want to have one of these specific table, chair or bookcase designs in your own home, some shrink-wrapping plastic seems like a perfect missing item from most toolboxes. After all, sometimes another nail or screw just will not do – in which case, you could wrap a band around a broken intersection or use it make a wobbly joint more sturdy in something you already own. 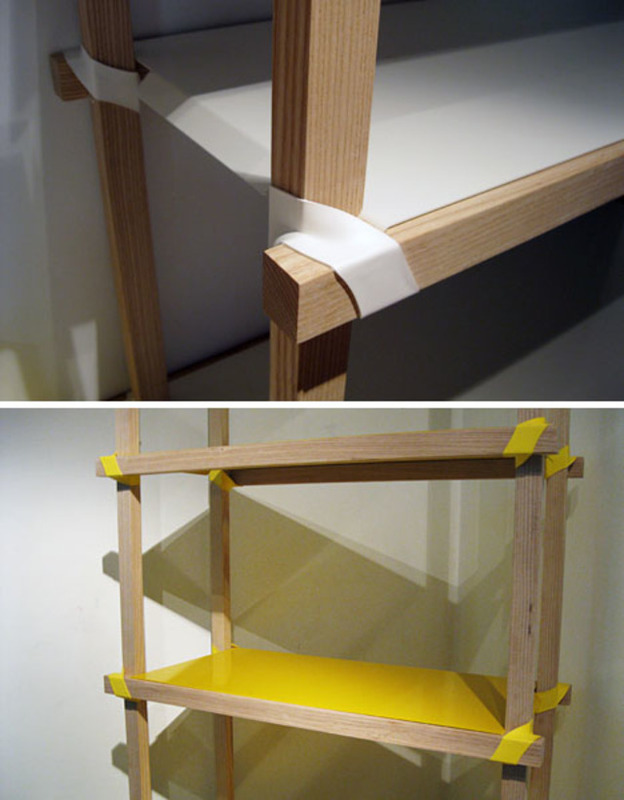 This brilliant shrink wrap joinery is an innovative furniture solution that could make a lot of people’s lives a little bit easier.